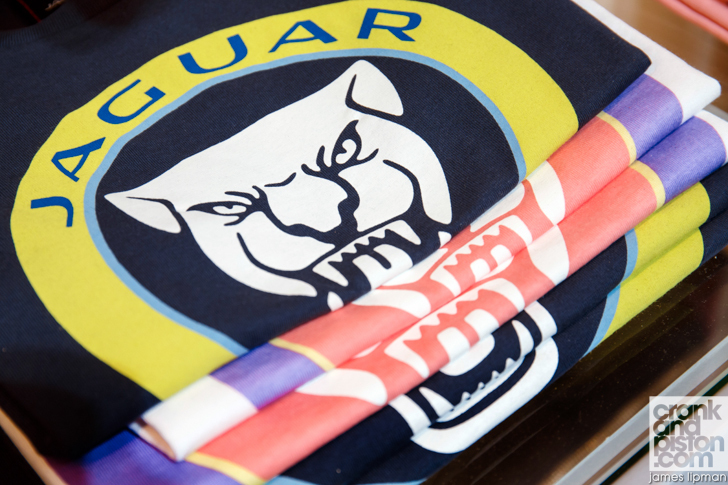 Although there’s still half a year before its unveil, the brand new F-PACE is set become the best-selling Jaguar yet. So says design director Ian Callum, with whom crankandpiston.com grabbed a word at this year’s New York Motor Show. 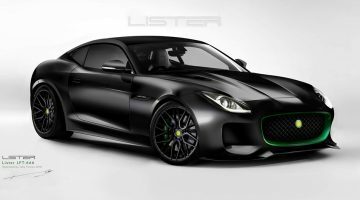 It’s a question Jaguar Design Director Ian Callum has no doubt been asked thousands of times before, and probably not the first time today either. Indeed, it was on crankandpiston’s mind when we took the original C-X17 for a spin in Dubai a couple of years ago. The fact remains though that beneath the SUV bodywork and dimensions lies not the rugged efficiency of a Land Rover, but the stylish elegance of a Jaguar. Of that there is no doubt. Saying that, the man himself can hardly blame us for being curious. Alongside the brand new XF at this year’s New York Motor Show, the F-PACE is a hot topic. 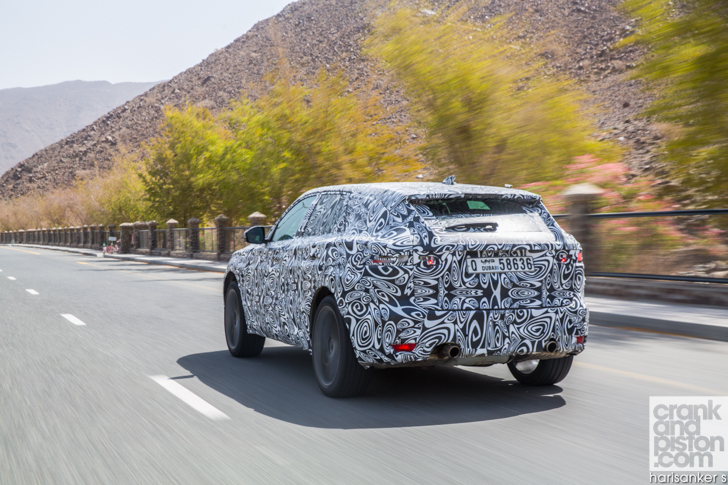 In Jaguar’s 80-year history, production of the ‘sport crossover’ (as Jaguar calls it) marks the first time the marque has ever stepped into the SUV arena. What had originally been a headline-grabbing exercise to show the true potential and flexibility of its new aluminium intensive architecture has since developed, given, as Ian himself puts it, ‘the overwhelming positive response’ the concept received. Two years after the unveil of the concept at the Frankfurt Motor Show, the production-ready model is set to make its debut this year at the same venue before a fascinated audience. Not least because details of the F-PACE have been kept infuriatingly close to the chest. Aside from the name – a link to Jaguar’s ‘Grace, Pace and Space’ slogan in the 1950s and 1960s – a teaser image of the taillights, and casual references to the design influence of the similarly named F-TYPE, there’s been little to do but speculate. Wily as ever, Ian is not ready to give the game away just yet, but does suggest that the C-X17 conceptual look may not be too far removed from reality. “It’s actually quite close,” Ian explains. “Some of the dimensions have changed – the windows are a little bigger and the wheels a little smaller – and it’s more useable. The C-X17 was really about indulgence, but you will recognise the look. 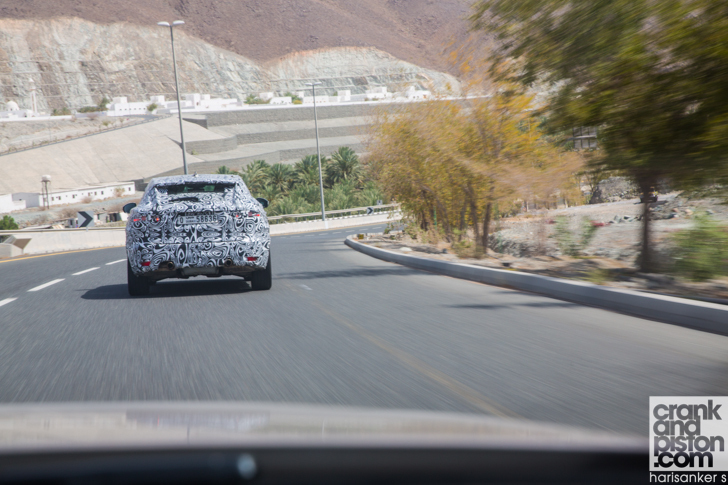 Though keen to keep the finished firmly under wraps for another six months, the F-PACE has nevertheless caused a stir across the world, camouflaged examples of which – spotted here in the Middle East as well as across Europe – continuing Jaguar’s engineering and testing program ahead of the SUV’s 2016 on-sale date. Engine options are causing similar consternation, fans and media alike suggesting either the 3-litre V6 or 5-litre supercharged V8 as used in the XF among others may lead the line-up. Others though suggest that the more fuel-efficient Ingenium range, set to debut with the new XE, seems the more likely. 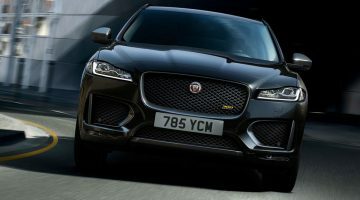 Either way, given the interest the F-PACE has already garnered worldwide, as well as the fast-growing segment it’s about to join, Ian is sure Jaguar’s first ever SUV will be an immediate hit. “It’ll probably be the highest volume model that Jaguar has ever done,” Ian explains. “We invented the car as a concept and thought, ‘right, how are we going to do this?’ which is a much nicer way of doing it from my point of view. And it’s a lovely size. It’s bigger than an Audi Q5 and smaller than a Q7, so it has its own place. Immediately there’s going to be interest. “And the great thing about this new architecture – as with the XE and XF – is that it’s different to a platform. The platform is essentially what you bolt the seats to, and with architecture you have a lot more flexibility. 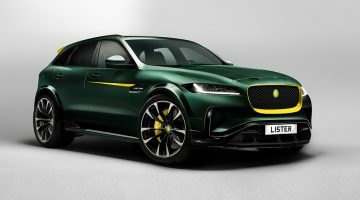 The F-PACE has a different wheelbase and a different track to any of these cars, which – rather unusually – was chosen by the design department, not engineering. And that gave us the freedom to put things where we wanted them. Not a Land Rover. Let’s just make that clear.